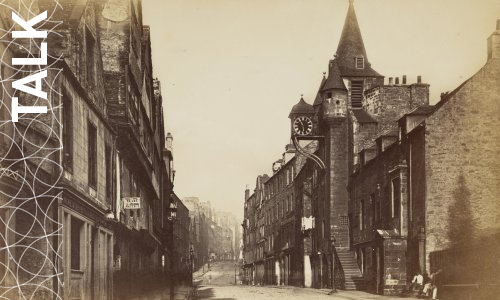 The first event in a series coproduced by the Franco-Scottish Society and the Institut français d’Ecosse for the 2018-2019 session will be a talk by Dr Clarisse Godard Desmarest, Seventeenth-Century French hôtels: A comparative study of Paris and Edinburgh. The affinity of France and Scotland is perhaps nowhere more evident than in architecture. In the seventeenth century, Scottish architects were familiar with French buildings and architectural treatises and Holyroodhouse, in the Canongate, was rebuilt as a French château in the 1670s. This talk will present how the French aristocratic hôtel, as it developed in Paris in the seventeenth century, became the most relevant urban model for the elite in Edinburgh. Dr. Clarisse Godard Desmarest FSA Scot is a lecturer in British History at the University of Picardie Jules Verne (Amiens) and a fellow of the Institut Universitaire de France. She holds a PhD from the Sorbonne, an agrégation in English and an MA in politics from Sciences Po Paris. Her work centres on Scotland in the 17th-19th centuries with a focus on architecture and landscape, collecting, and the Grand Tour. Her latest publications include: ’Mary Halket, Lady Bruce, at Kinross House in the 1680-90s’ in Architectural Heritage 27 (2017; pp. 19-42) and ’The Melville Monument: Shaping the character of the Scottish metropolis’ in Architectural History. The Journal of the Society of Architectural Historians of Great Britain (to be published in Nov. 2018).